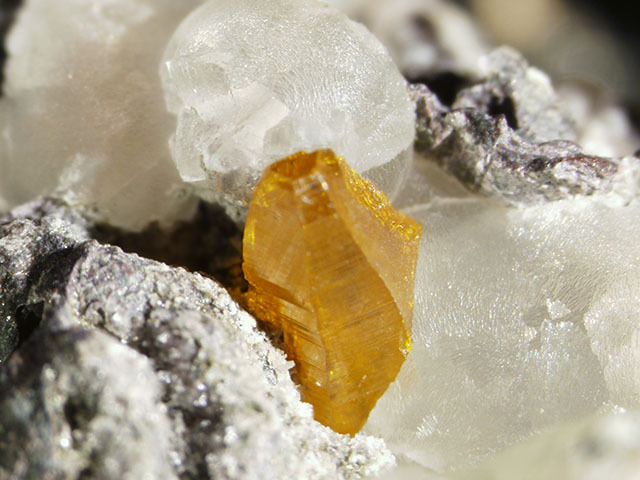 Greenockite is simple cadmium sulfide (Connell, 1840). The mineral name honors Lord Greenock, whose given name is Charles Murray Cathcart (1783-1859), discoverer of the mineral (Thompson, 1840). Greenockite has hexagonal symmetry, and is a well known example of a hemimorphic mineral. Hemimorphism implies a lack of a center of symmetry; this allows one half of a crystal to display outward forms unrelated to those on the other half of the crystal. 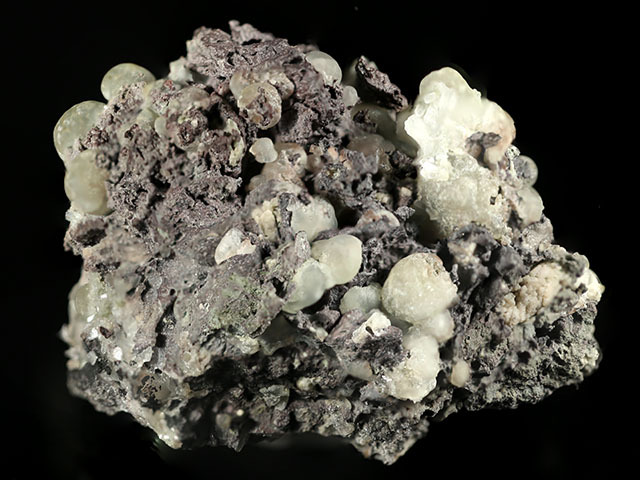 This specimen consists of botryoidal prehnite grown over basaltic matrix. 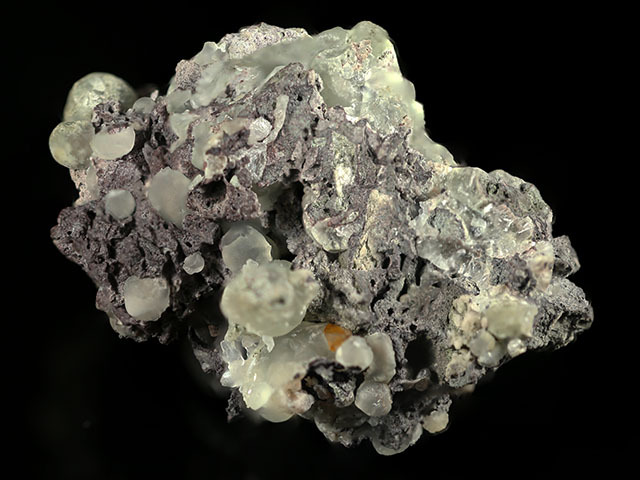 The prehnite spheres reach 5 mm on this piece; there is also minor stilbite-Ca present. 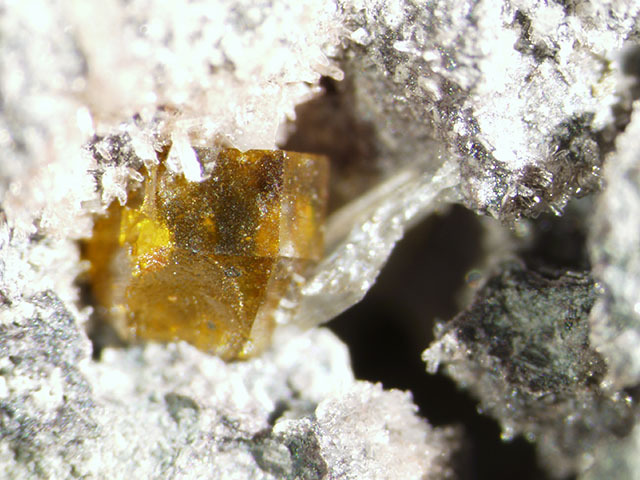 There are two greenockite crystals present, the first of type 2 (see Thompson) measures 1.5 mm, and the second of type 2 (see Thompson) measures 2.5 mm. Interesting mineral!